Busy schedules and hot weather combined, call for easier meal-making and lighter fare. The food that fits both requirements is a SALAD. 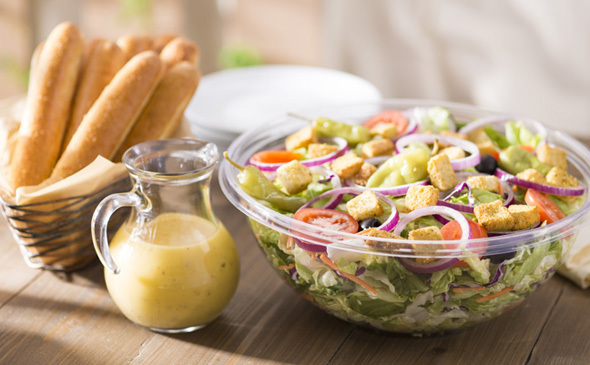 Summer time is salad time, no doubt about it. If you plan and prepare ahead, they’re so easy to whip up. And because they’re usually composed of whole plant foods, they tend to be easy to digest (which is an especially good thing in hot weather). And because there’s little to no cooking involved, the after-meal cleanup is fast. Other ready-to-use salad greens to have on hand include broccoli slaw, baby spinach, and alfalfa or clover sprouts. 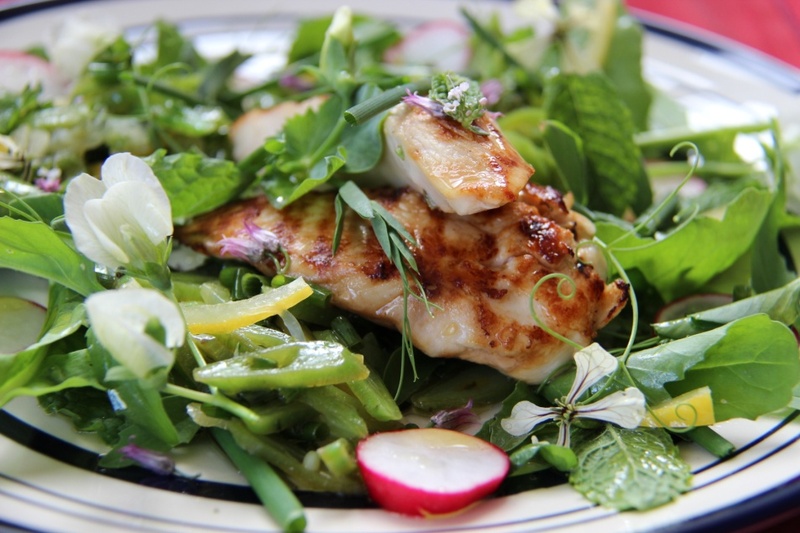 With the greens already chopped, you can throw together a salad in just minutes. Hummus. 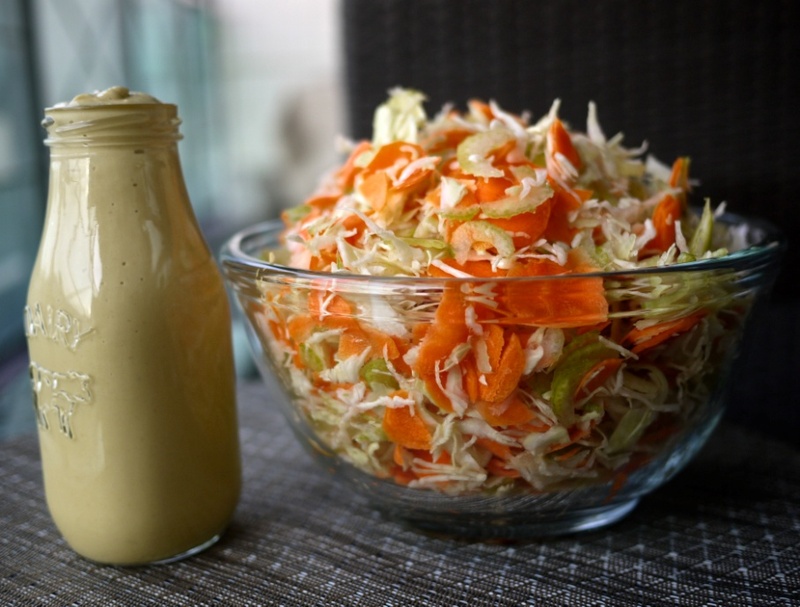 Thin it down with a little olive oil or balsamic vinegar and it becomes a delicious dressing or first layer, just waiting for all your other fresh veggies. 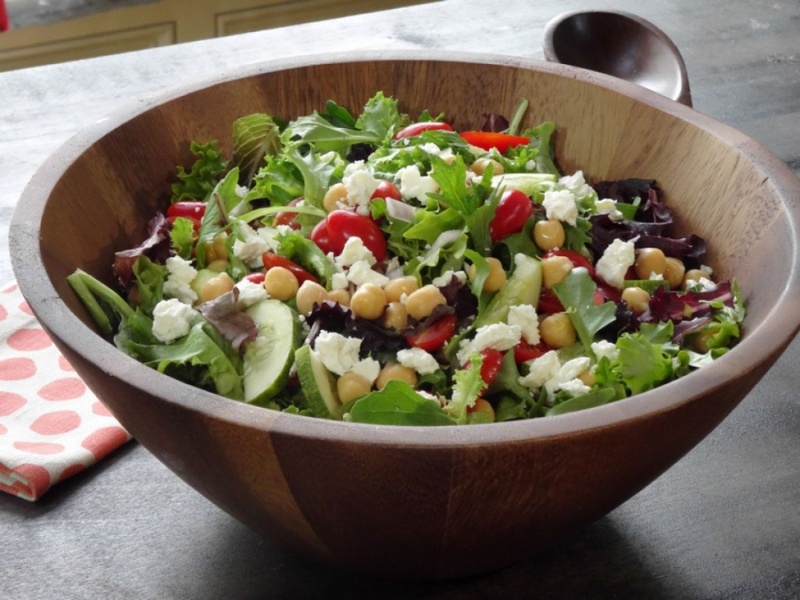 Or how about topping the greens with a chickpea salad? 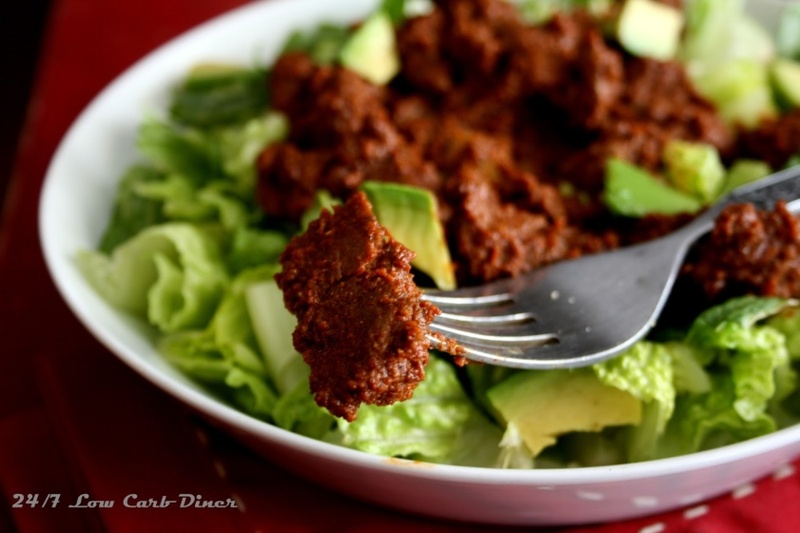 Then there’s the technique of topping your salad with something hot: chili, red beans, spaghetti sauce, or even your leftover bean soup. 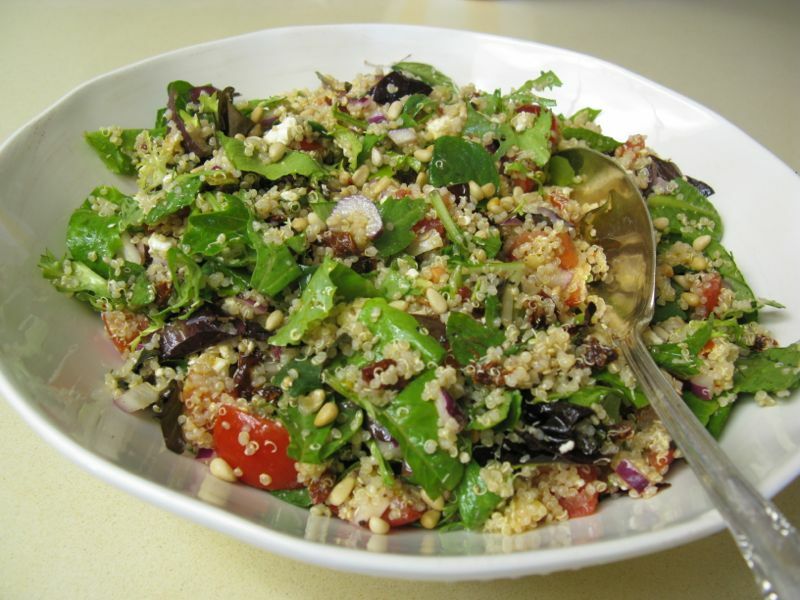 The hot topping will wilt the greens and warm up the whole salad, making it much more comforting on a cooler day. Besides the proverbial pasta, there’s cooked and cooled barley, quinoa, or cous cous; these can add another tasty layer before you add in your diced or sliced veggies. There are other protein options besides chicken, ham, and hard cooked eggs. Seasoned and crumbled cooked ground beef or Italian sausage is delicious, as is leftover pulled pork and green peas. 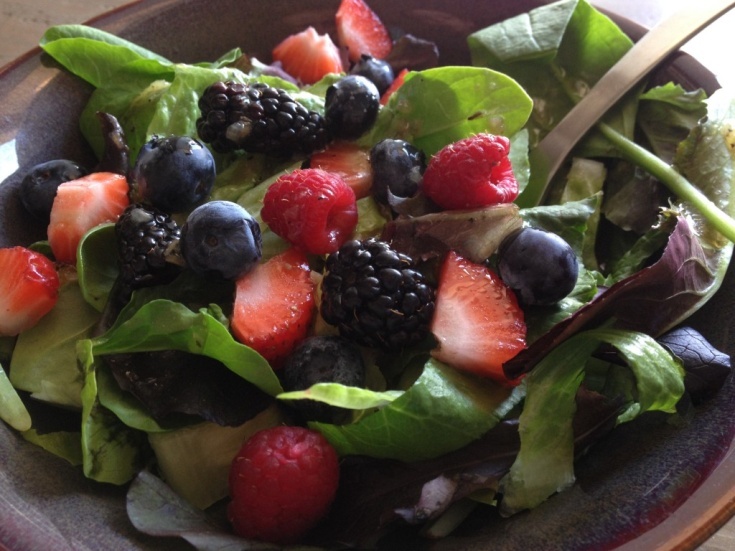 And if you’re in the mood for a sweet rather than savory salad, layers of berries and diced melon are also scrumptious on a bed of fresh greens. I add in some raw chopped nuts for extra heartiness and another flavor layer. If you’re a fire lover, sliced or chopped jalapenos add an interesting heat. If you’re looking for a tamer flavor, toss on a little salsa. For a hint of sweetness throw on some diced apples, pears, a few raisins, or dried cranberries. Try a different “crunch approach,” also. Besides croutons, there’s chopped pretzels, crumbled tortilla chips, and corn chips (Fritos, for instance). And don’t forget those fresh herbs. Chopped dill, cilantro, parsley, and oregano can add a nice flavor punch. Finally, have a few things on hand to pair with this healthy dinner approach. Crunchy rolls, specialty crackers, homemade cornbread, bread sticks, baked potatoes, etc. are just a few ideas. You can see I’ve only scratched the salad surface here. 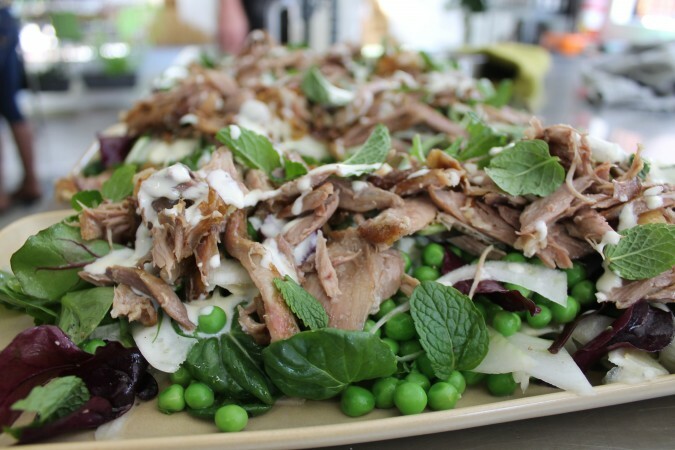 You likely have your favorite tips and tricks to salad making as well. Don’t hesitate to share them with us. But in the meantime, since it’s probably the best meal there is during the summer, be sure to have all your salad fixings planned and prepped ahead. 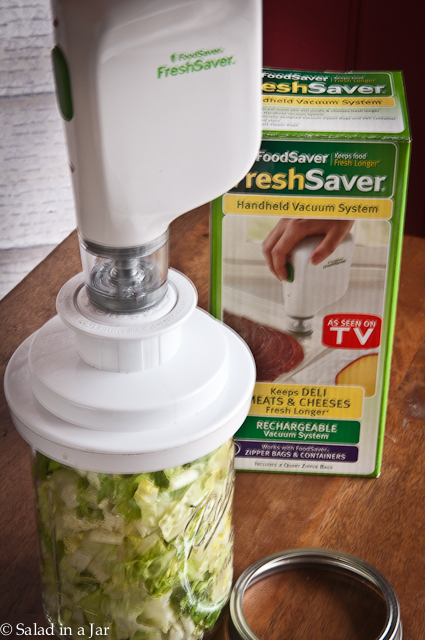 This is the best and easiest way to make salad THE meal!